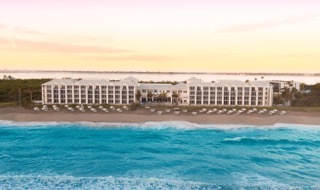 Hutchinson Shores Resort & Spa, the newest beachfront respite in Jensen Beach, will celebrate the women who do so much for others with Mother’s Day brunch from 11 a.m. – 3 p.m. on Sunday, May 13 in the resort’s Grand Sea Turtle Ballroom. Curated by Drift Kitchen + Bar’s Executive Chef Michael Vogler, the buffet-styled brunch features a carved prime rib and roasted turkey station served alongside Herb Crusted Chilean Salmon drizzled with key lime butter, Wild Mushroom Chicken Marsala and Crab Ravioli tossed in garlic cream sauce. For more of a traditional breakfast, guests can enjoy Eggs Benedict, Vegetable Quiche and an omelet station, among others. Hutchinson Shores’ Mother’s Day Brunch is priced at $42.95 for adults and $19.95 for children. Reservations are recommended and can be made by calling 772.334.1950.